Knowing what to bring a friend or family member when they are feeling under the weather can be a tricky task. Of course, a bouquet of flowers, a card, or even just showing up for the chats all make for a thoughtful gesture. Unsurprisingly, at Easy Food, we are of a mind that bringing a homemade meal is the perfect pick-me-up for a poorly chum. Ideally, you’re going to want to bring a dish that is comforting, nutritious, uncomplicated and easily transportable. We’ve got you covered. 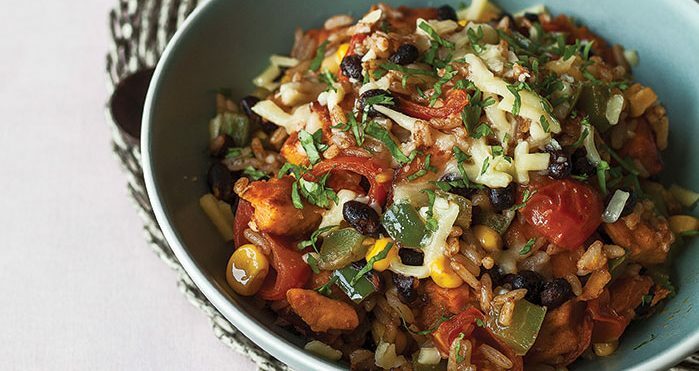 From a garlicky cabbage, sausage and cannellini bean stew to our sin-free fruit and chocolate bars — these recipes are always a good idea for an unfortunate amigo in low spirits. You most definitely don’t have to be sick to devour this, but our amazing kale, spinach, edamame and ginger soup is rich in super foods and will leave your poorly patient feeling 10 times more energised in both body and mind. Spicy foods contain a component known as capsaicin, which helps to break up mucus along with stimulating mucus production. This is an effective way to relieve coughing caused by irritation. Our Asian-Italian mash-up is packed full of spicy ingredients. Feel the burn! 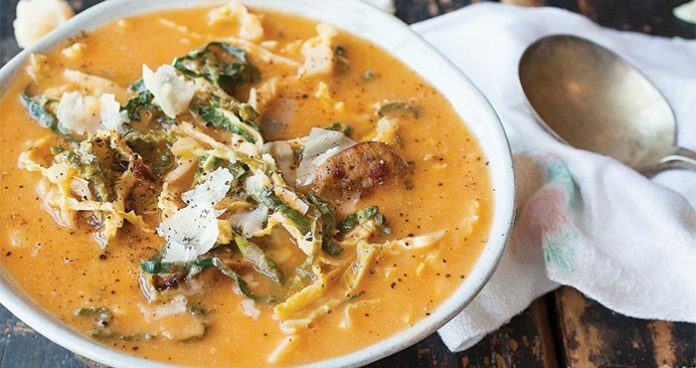 This amazingly flavoursome, easy-to-make, low-in-fat stew is the ultimate sick-day meal boasting garlicky cabbage, herby sausage and cannellini beans in every spoonful. A healthy yet tasty meal full of nutritious Mexican flavours that will surely help a sick person feel alive again. A cold remedy that uses one of the oldest Irish seaweeds helping to cure colds, coughs and congestions. Vegetable soup takes almost no time to make, but will keep a queasy soul satisfied for hours. It’s no wonder this recipe is among the most popular videos on our YouTube channel. Burritos are more often than not a crowd-pleaser. 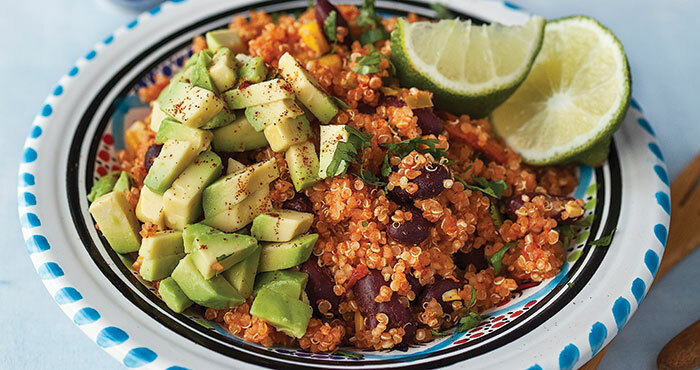 This meal is super tasty and wholesome — guaranteed to help banish those unwelcome sniffles. Is there anything more soothing and comforting than a hot broth when ill? A proven way to kick a cold is by drinking plenty of fluids (i.e. drinking a broth). We’ve mustered up not one, not two, but FIVE broth recipes for you to choose from. Okay, ideally someone who is sick should avoid a high sugar intake as it can suppress the immune system and cause inflammation. 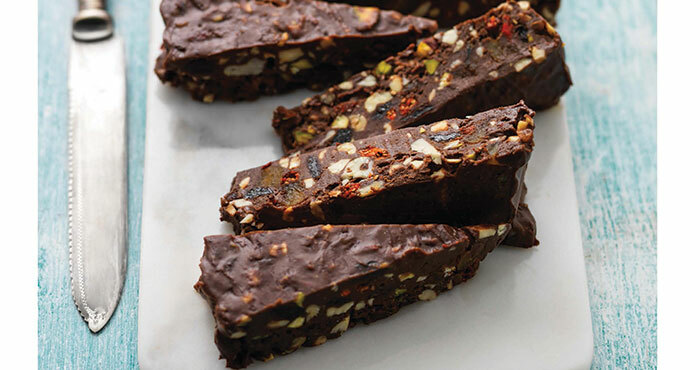 But if you’re feeling cheeky, enjoy these melt in the mouth, no cook, no bake fruit and nut chocolate bars.